This 8-day Argentina Adventure has it all! From the majestic waterfalls of Iguazu in the north to the delicious Malbec wines of Mendoza to ice trekking on a Glacier in El Calafate, you will have an upfront and personal glimpse to some of Argentina's most spectacular attractions. Pack your bags and get ready for an adventure of a lifetime. The cosmopolitan city of Buenos Aires is the colorful capital of Argentina. Known as the "Paris of South America", Buenos Aires is steeped in culture, unique to this extraordinary country. Feel the rhythm with tango dancers in the streets of La Boca, discover the history behind Recoleta's neighborhood attractions and wake your senses up with delicious flavors in the Palermo district. Buenos Aires is a great base from which to explore a variety of iconic Argentine experiences. The waterfalls of Iguazu are located in northern Argentina, near the border of Paraguay and Brazil. They are made up of 275 falls, some of the cascading waters rushing up to 80 meters high! The 1,000 meter foot bridge on the Argentinian side will lead you to the largest of the falls, La Garganta de Diablo, the Devil's Throat. You can hike the trails on the Argentinean side, as well as the Brazilian side for various perspectives of the breathtaking scenery. Both sides offer exceptional views of the majestic waterfalls and the rich green jungle that surrounds the area. The natural beauty here is simply incomparable. Mendoza, home to the delicious blends of Malbec wine, is another city that will captivate you. At the base of the Andes Mountains, the climate is well suited to vineyards and the culture is rich and relaxed. Mendoza's tranquil atmosphere allows you to relax and enjoy the beautiful views and charming vineyards. The prestigious vineyards are located in the district of Godoy Cruz, Guaymallén, Luján de Cuyo and Maipú. Today, you will venture out to the vineyards of the Uco Valley, for a full day of exploration! It is here, that you will find the vineyards of the highest altitude. Located furthest from Mendoza city, yet closest to the Andes, it is probably one of the prettiest parts of the province. You will be taken on a circuit with spectacular views of the Andes range to discover the beauty of the region and admire some of the most impressive vineyards. The small town of El Calafate is located on the southern border of Lake Argentino, in the great Patagonia region of Argentina. This quiet little town is the gateway to Los Glaciares National Park, home of the famous Perito Moreno Glacier and the Cerro Torre. The Perito Moreno Glacier is the largest advancing glacier in the world. Due to its idyllic location, the opportunities for outdoor adventure are unparalleled. From hiking through snow capped mountain peaks and cycling around wide open lakes, to trekking the icy surface of glaciers and paddling past ice blocks in kayaks, you can find it all! Embark on a full day mini trekking expedition to the incredible Perito Moreno Glacier today! First, you will be transferred to the Los Glaciares National Park in the sub-Antarctic Continental Ice-cape, known as the "Third Pole". This extends over 23,000 sq. miles and gives birth to several major glaciers along the Patagonian Andes, leaving it's mark both near and far. You will board a boat here, to cross Argentino Lake in front of towering ice walls of the Perito Moreno Glacier. Glide along the waters and navigate around the ice blocks, which are constantly calving from it. The boat will dock at an uninhabited beach, where guides will welcome you and lead you to a small shelter. After checking the last details, you will be broken up into groups of 20, to follow your guide along the lake’s shore and towards the edge of the glacier. You will receive crampons (a metal plate with spikes to put on your boots) for this journey and your guide will explain how to use them in assisting you to walk along the ice. Please be assured that neither additional equipment nor previous experience is needed for this trek. The two hour route that follows you from here, introduces you to the fascinating landscape of the glaciers. Take it all in, as you pass by the streams, small lagoons, gullies, crevasses and plenty of ice formations of the most incredible blues. This trekking excursion is only moderate. The ice surface over which you will walk is irregular, but firm and safe. A one hour visit to the Perito Moreno Glacier catwalks are included in your tour as well, before returning to the shelter where the boat dropped you off. From there, you will transfer to the pier and continue onward back to your hotel. Sadly, your journey must come to an end today. However, you will be leaving with unforgettable memories and the experience of a lifetime! After checking out of your hotel, you will be met by your driver and transferred to the airport in good time to board your international departure flight home. Nuss Buenos Aires Soho is located at one of the most emblematic corners of Palermo Soho, across from Plaza Serrano. Once a classic Spanish-style convent, it has been fully refurbished to become the most innovative premium hospitality option in Buenos Aires. The 22 rooms are located on three floors around a central patio (the old convent clusters). In one of the city's most interesting neighborhoods, surrounded by design and clothing stores, crafts shops, art galleries, and bars and restaurants, Nuss Hotel offers the perfect base in the city. 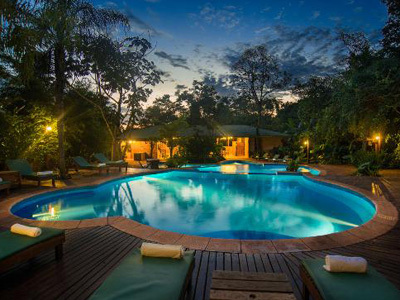 As the first Lodge in the Atlantic Forest of Puerto Iguazú, guests should expect quality and friendly service, unique in concept and attention and exceptional hospitality. The lodge is firmly committed to sustainability, developing efforts aimed at the care and conservation of the environment, the promotion of local culture and sustainable development and the continuous improvement of service quality. Featuring a picturesque garden with a deck and warm sun terrace, Casa Lila offers complimentary Wi-Fi and homemade breakfasts for a lovely stay in Mendoza. Conveniently situated nearby to the local attractions, the property still maintains a tranquil environment, outside of the bustling city streets. The vision for its design was focused on creating a charming house in the middle of the city, where simplicity can be appreciated. A good breakfast, a comfortable bed, a delicious glass of wine and some unique local tips to discover the very corners of Mendoza is what it's all about! 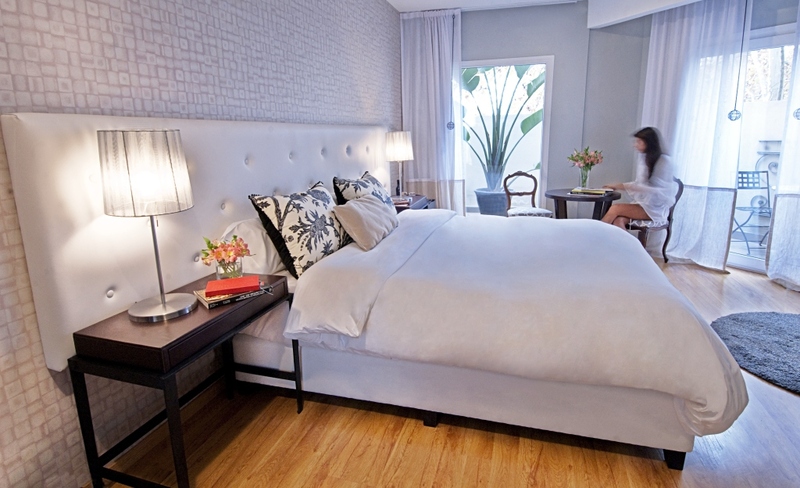 The guest rooms in Casa Lila feature private bathrooms, air conditioning, heating and garden views. Kosten Aike Hotel features an unbeatable location in El Calafate, just two blocks from the mall and minutes from the International Airport. The property takes its name from the words, "Kosten", meaning "wind" and "Aike", meaning "place". Although, its name is not the only thing that comes from the Tehuelches. All of the bedspreads, curtains, covers, ironwork and paintings were specially created for by talented local Argentine artists. Their purpose was to recreate the ancestral designs of the Tehuelches, who were widely known for their perfect geometry and quality aesthetic concepts. This is just one of many authentic travel experiences offered by Global Basecamps. If you are interested in more unique destinations to Argentina with unprecedented planning and extraordinary service visit our main Argentina tours page to browse other sample trips.